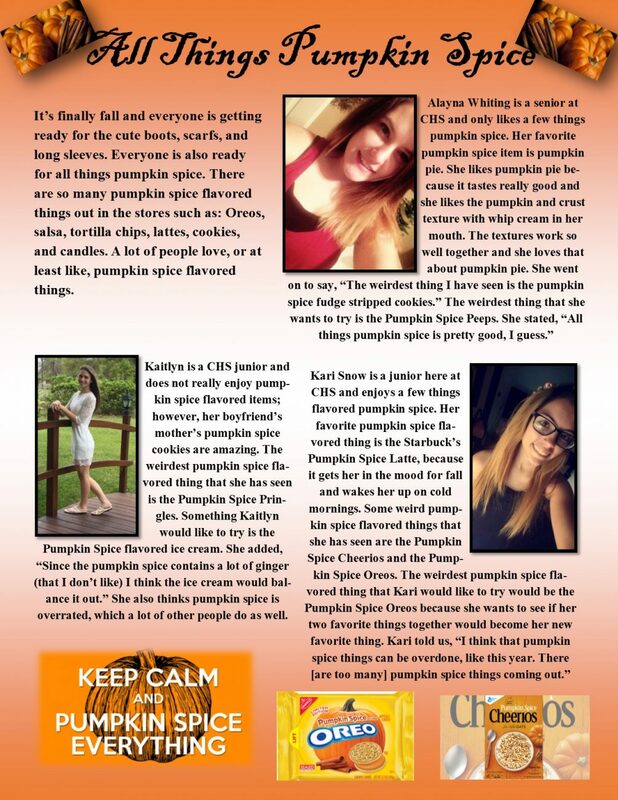 Students in the Lakeland Collegiate journalism class work on a variety of projects, including the production of digital media products and aiding in the production of the school yearbook. Occasionally, they will also produce stories of particular interest to the Collegiate family and pictures of happenings around the school. Here are a few of those stories and pictures of students. After a long week of campaigning, Justin Cole and Alayna Whiting were crowned Homecoming King and Queen. 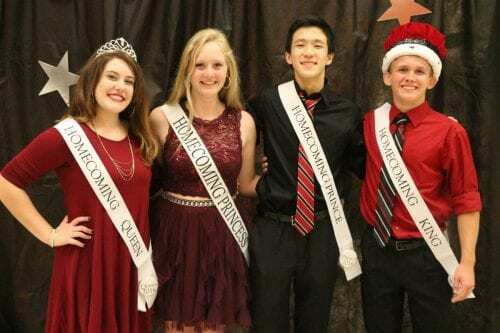 Harrison Chen and Jessica Whiting were named Homecoming Prince and Princess. 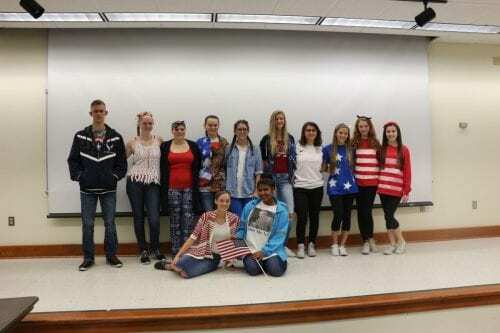 Collegiate juniors celebrate America Day. 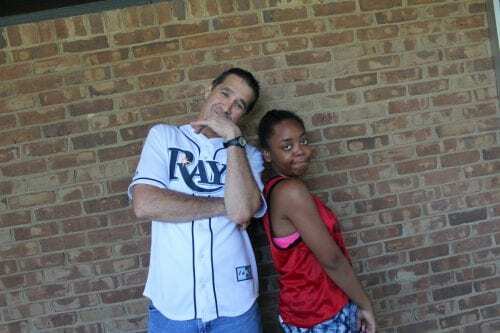 Collegiate teacher Mr. Childree and Senior Ashley Rodgers pose for Jersey Day. 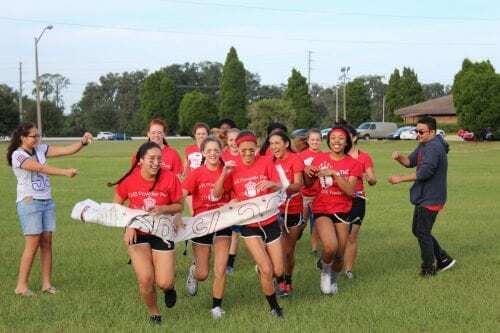 The juniors break through their class banner, ready to take down the seniors. The seniors break through their class banner, which reads Seniors 2017, ready to battle the juniors for the win. 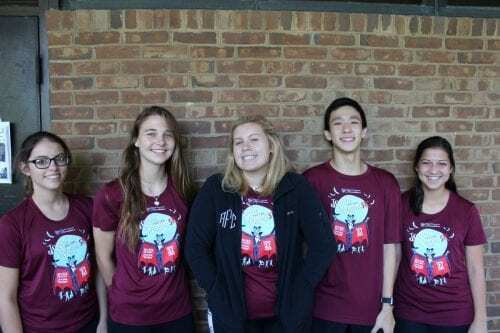 Twin Day turned into Quintuplet Day for (left to right) juniors Kari Snow, Kaitlyn Kelley, Avery Fox, Harrison Chen, and Veronica Aviles.